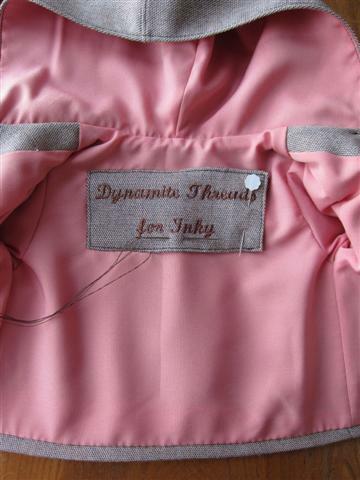 Dynamite Threads: Finishing touches and a new sweater. I put some snaps inside the front plackets of the coat I have been working on. It stays shut well and won't shift with wear. I love these little snaps, they are part of the finishing touches that make something special. But how to make this one really special? I was looking it over this morning, getting ready to pack it up for shipping and I thought it needed something personal. Something to make it even more Boutique. I came up with this personalized label and I am thrilled to bits with it. I hope my client loves it. I showed my husband and he said "If I were one to squee I think this would be squee worthy, awesome job!" This sweater is something I have been working on here and there for a couple months. I started it in late November but had to put it aside while I was making Christmas gifts. I had it nearly done in early December but I didn't get a chance to finish it until last night. I only had about an inch left of one sleeve and some seaming and then it was done. 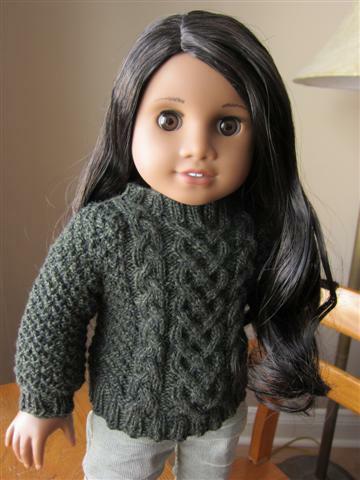 The pattern is a free Ravelry download by WildHorses. I did change it because I always like to make things differently. The body of the sweater is exactly as the pattern states but I made my own sleeves.